This Website Is No Longer Active. : Happy Birthday N@t*s£@. Always In Our Thoughts. Fourteen years ago today a sick and frail 12 year old girl celebrated her birthday from her hospital bed in Florida America. Arrived with a false passport and perjured, fraudulent documentation and removed a screaming and distraught N@t*s£@ Lewis from her hospital bed in front of her Grandfather at gunpoint and brought her back to the UK without having received any medical treatment. 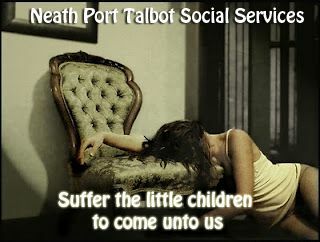 N@t*s£@ Lewis was physically and emotionally abused by Neath Port Talbot Social Services. The first time that Linda Lewis saw her daughter during a supervised visit on her return from America N@t*s£@'s front teeth were missing. Fourteen years later and still under their control to protect them from their crimes and to cover up for medical negligence N@t*s£@ has never been allowed to return to or make contact with her loving mother or family. Below is one of many desperate letters smuggled out by N@t*s£@ to her family begging to come home.She was 12 years old. "Why are social workers so nasty ...."
There are many more letters from N@t*s£@ that will be published in due course. An entry from a foster carers diary who was forced to look after N@t*s£@ clearly says. "I cannot keep this child a prisoner any longer." N@t*s£@ Lewis always in our thoughts. why are control orders not allowed by the courts for terrorists yet supervised contact is court ordered for parents who are of no risk of harm to their children? Presumably N Lewis as an adult no longer has the normal mother/parent & daughter contact with her mother/parents/grandparents? At some point there needs to be a fully independent and transparent commission of enquiry into the whole family courts and entourage which must not be tainted as a recent inquiry/review of swansea was by involving a local family court judge and other hangers on. Does anyone believe things have improved? Happy birthday Na*a**a lots of hug's and kisses.always thinking of you. Wishing you a happy bithday and i hope you and Mam will be reunited soon. Dear Na---ha my family and myself wish you a Happy Birthday. don't forget we are all fighting for you. We all know what's happened to you and your family. Happy birthday N. We are still fighting for you and the truth to come out.One day we will tell you all about the evil people who have stood in your way to be reunited with your loving family.